Background/Info: Ruptured World is a new sonic project driven by Alistair Rennie. This Scottish artist is also an author of ‘Weird Fantasy and Horror Fiction’. I found out he’s mainly writing short stories for magazines. 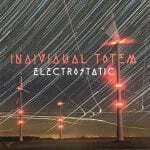 This debut album is about an imaginary space mission to Proxima Centauri B. Content: The main sources of inspiration clearly seem to come from astral themes. The work reveals an obscure, cinematographic approach regularly joined by mysterious transmissions. The music has something wafting, but always covered by an obscure sphere. 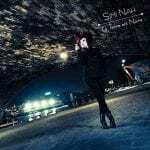 It creates a sensation of loneliness and despair, mainly accentuated at “Future Cries Of No Tomorrow”. There also is an intriguing piano-kind passage running through one of the tracks. + + + : I like this project, which in a way enlarges the sonic horizon of Cryo Chamber. It’s still dark and devoted to cinematographic music, but “Exoplanetary” also has something different and, which you rapidly can differentiate from other albums in the genre. The global approach is somewhat different and very easy to distinguish from other artists. I also like the work for its visual appeal and global atmosphere of despair. The passages featuring the transmissions are one of the main characteristics. – – – : The tracks are rather similar to each other and that’s maybe why it’s hard to find a total climax among the tracklist. 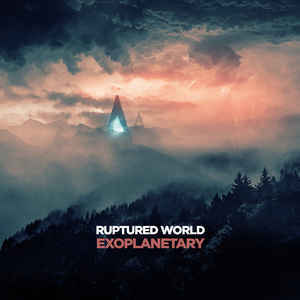 Conclusion: Ruptured World is an interesting and stimulating new comer, creating a cold and prosper sound universe. Best songs: “Future Cries Of No Tomorrow”, “The Voyage Of Tarknassus”, “The Bright Communion Of Primal Energies”.